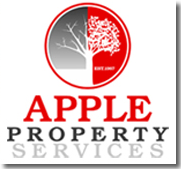 Welcome to Apple Property Services! T he old saying “you can’t judge a book by its cover” does not apply in the grounds maintenance industry. When presenting a professional and reliable image, your landscape means so much. It’s also why we make excellence an everyday habit and not just a slogan. We take care to provide our customers convenience through rapid response to service calls and flexible schedules for part-time, seasonal, and yearly agreements.